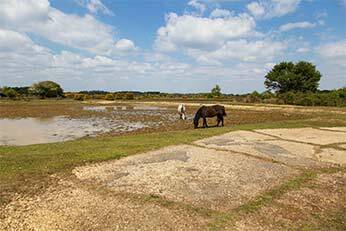 The RAF Museum has kindly made available a detailed plan of the layout of the Stoney Cross, World War Two airfield in Hampshire's New Forest, based on a 1946 Asset Plan compiled by the Air Ministry Works Directorate. The first illustration reproduced here shows the airfield in its entirety, apart from the Sick Quarters and H.F. Transmitting Station which are out of picture at the bottom right-hand corner. 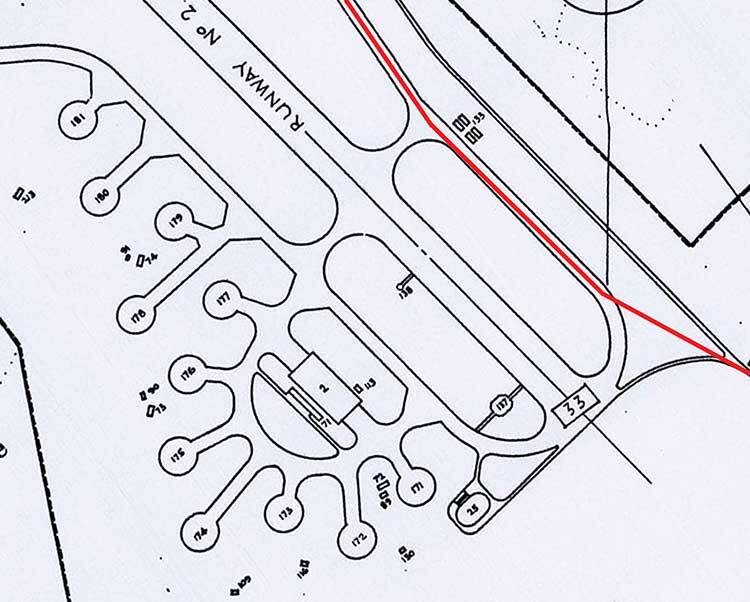 Further illustrations show individual sections of the airfield, working in a clockwise direction, starting with the three dispersal units at the top of the overall plan. (Each separate illustration is reproduced at as large a scale as is practical, which is potentially different for each). 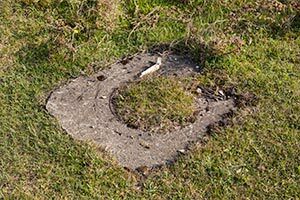 Commentary is provided to indicate the past presence and location of a variety of airfield features, whilst exploration of the site will be repaid by the discovery of many structure outlines, building bases and mysterious expanses of concrete that the plans will help put in context. A satellite view of the site also provides a wealth of detail, particularly when viewed alongside the plans shown below - a satellite view is available here, opened in a new window so that a side-by-side comparison with the plans can easily be made. Tip: Collapse the side panel on the satellite view to make best use of screen space and zoom in, zoom out and pan to view the required parts of the site. 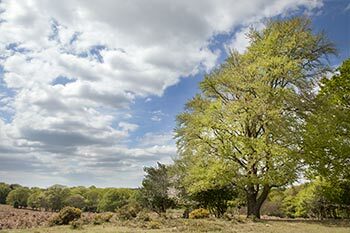 (A larger zoomable version of this image is available - larger zoomable version - that opens in a new window). 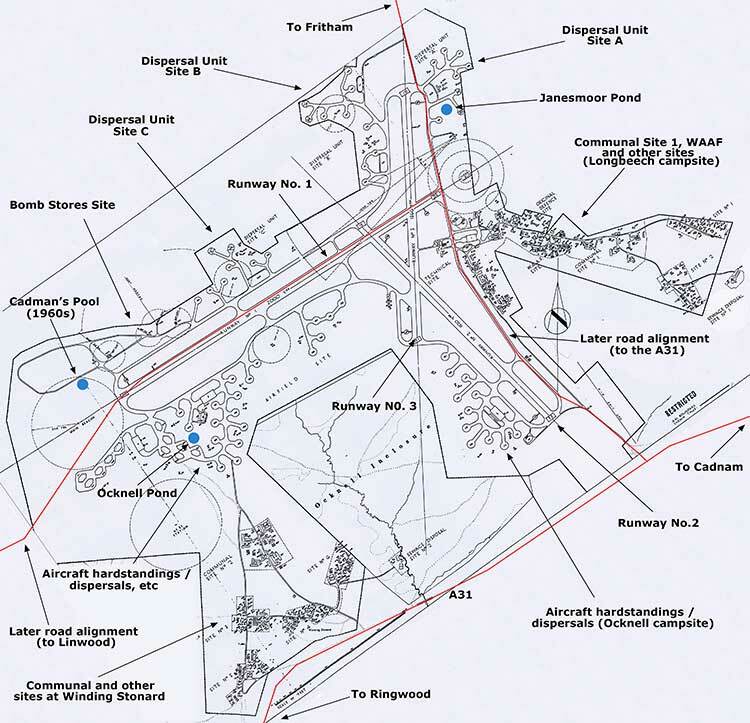 This detailed plan of Stoney Cross airfield (above) clearly shows the three runways. The main runway, 2,000 yards (1829 metres) long, is shown as Runway No 1. 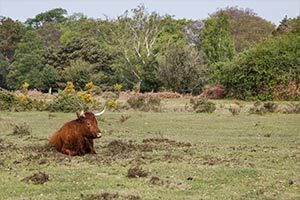 It was on a broadly west-south-westerly / east-north-easterly axis, providing for take offs and landings into the locally prevailing winds - the current road to Linwood runs along it. 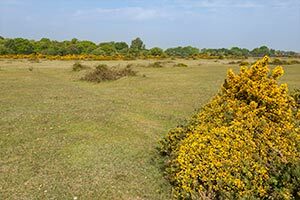 Runway No 2, 1520 yards (1390 metres) long, was aligned north-west / south-east, whilst Runway No 3, 1366 yards (1249 metres) long, was aligned north / south. 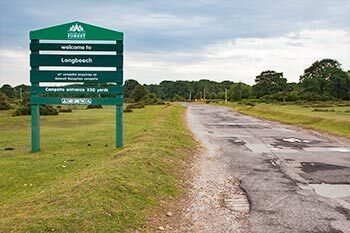 Much of the airfield infrastructure was primarily located on open heathland, although the projecting easterly arm - used for the 'Technical Site' and for living and other related accommodation - is now mainly within fairly open woodland around Long Beech Hill - which is the site of Longbeech campsite. Further living and related accommodation was located in the area near Winding Stonard wood and shows on the plan as a large 'A' shape at the south of the site. 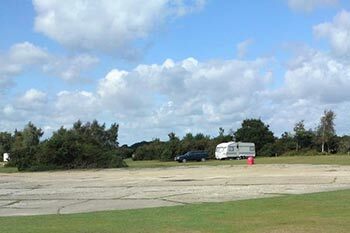 Ocknell campsite is located amongst what were aircraft hardstandings - shown on the plan as tentacle-like shapes - a little to the south-west of Long Beech. (Current public roads are shown in red - that running off the top of the plan leads to Fritham, that at the bottom of the plan is the A31 and that running off the left-hand side leads to Linwood. 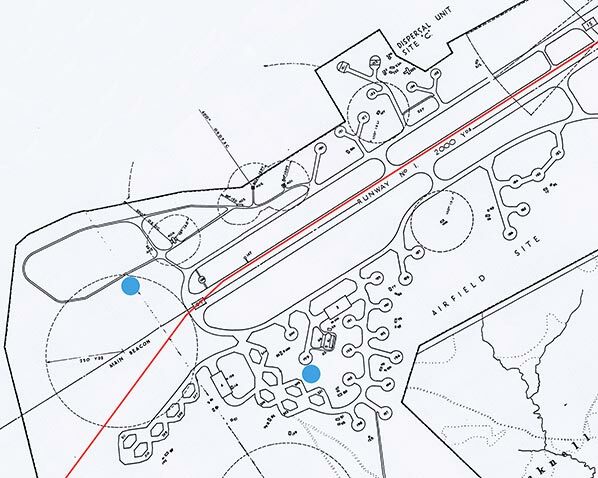 The locations of three ponds are shown by blue circles. Janesmoor Pond is the most northerly, Ocknell Pond is the most southerly, whilst the third is Cadman's Pool, which was created in the 1960s). The three dispersal unit sites - A, B and C - each comprised aircraft hardstandings and also flight offices and crew rooms, drying rooms and latrines, a sleeping shelter, an anti-gas clothing and equipment store, a SAA stores and aircraft re-fuelling area, and two Blister hangars - arched, portable aircraft hangars that apparently do not require foundation slabs and can be anchored to the ground with iron stakes. 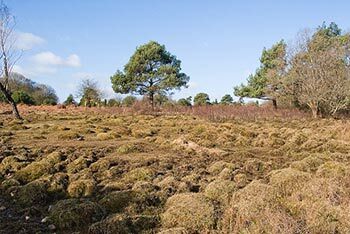 The sites of the two Blister Hangars and approach trackways in Dispersal Unit Site C - within South Bentley Inclosure - are still clearly visible on the ground as sections of concrete used in part, as at 2017 (and for many years previously), by the Forestry Commission as a dumping ground for cut bracken and to store heather bales. (Current public roads are shown in red and the location of Janesmoor Pond is marked by a blue circle). 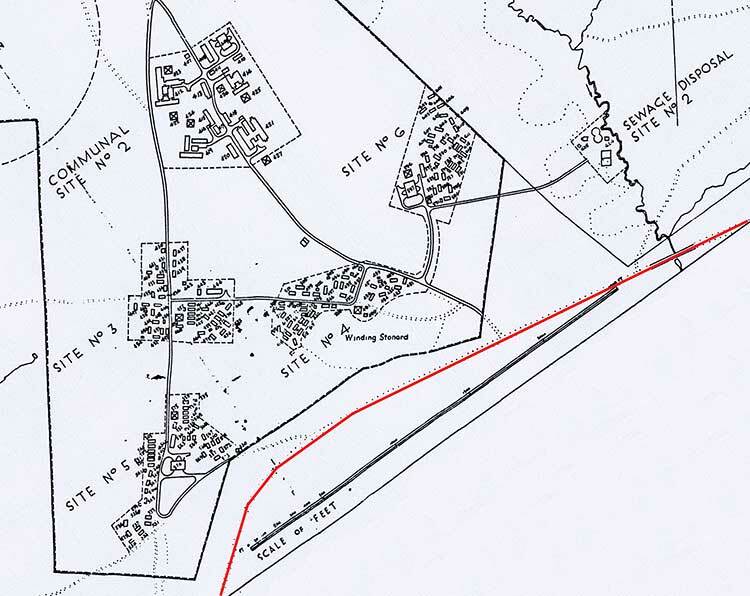 What was described as the Technical Site essentially comprised buildings along the eastern side of what is now the Fritham to Stoney Cross road - marked in red - together with a cluster of buildings across the road, virtually opposite the current entrance to Longbeech campsite (the cycle track here is also marked in red), and others abutting the north-western ends of the Original Defence and WAAF Sites. The 'across the road' cluster included a watch office, fire tender shelter and photographic block. 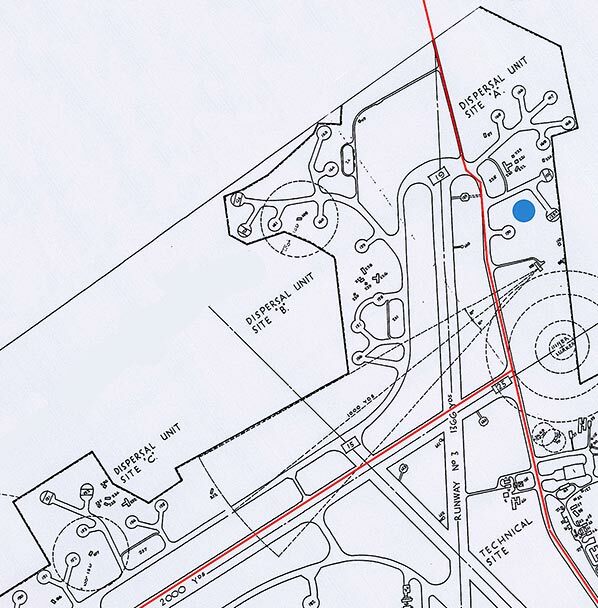 The control tower was apparently amongst this cluster, too, although it does not show on the plan. Elsewhere within the Technical Site were an armoury, a variety of stores and workshops, the guard house, a huge water tower - which was only demolished in 2004, a T.2. Type Hangar - labelled 1 on the plan - and much more. 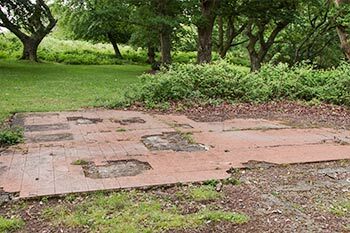 The Original Defence and WAAF Sites, and Site Numbers 1 and 2 primarily provided living accommodation, whilst Communal Site Number 1 included a gymnasium; squash court; ration store; tailors, barbers and shoemakers shop; and a grocery and local produce store. (Apparently, there was also a chapel or church here, but it is not marked as such on the plan). 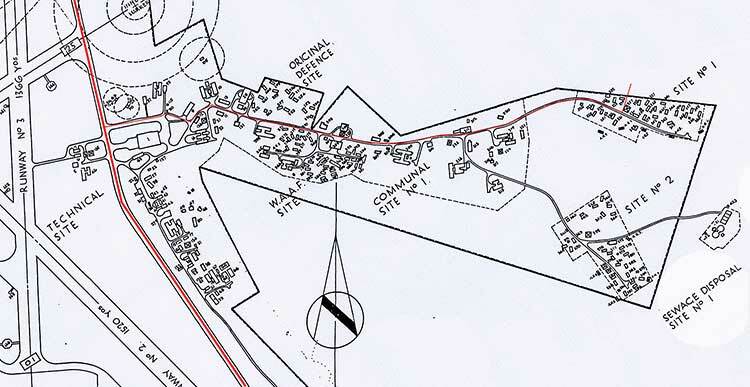 'Frying pan' type hardstandings are clearly visible on the plan above, and remain in use as part of the campsite, whilst the large rectangular shaped building - labelled 2 - was a T.2. Type Hangar. (The current public road is shown in red and so is the main route through Ocknell campsite). Communal Site Number 2 was of similar composition to that of Communal Site Number 1, although there was no squash court, no gymnasium and no tailors, barbers and shoemakers shop. 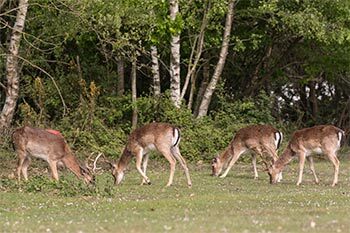 Similarly, Site Numbers 3 - 6 largely mirrored Site Numbers 1 and 2. 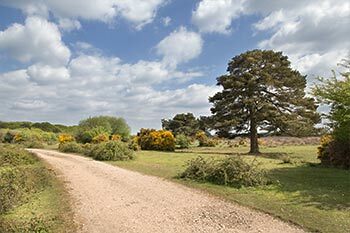 (The current public road, shown as a red line, is the A31 - how many people racing past (or crawling by, depending upon traffic conditions) realise that they are so close to such an impressive piece of history)? 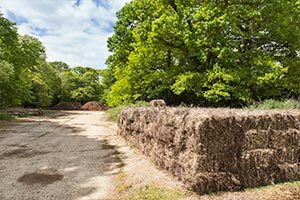 The Bomb Stores Site probably needs little further explanation other than to mention that two buildings were described simply as Bomb Stores Type D, another was a Fuzing Point building, whilst a fourth was an Incendiary Bomb Store. A temporary hut is also shown. Immediately to the south of the main runway were aircraft hardstandings and loop standings, together with two quite large rectangular buildings, which were both T.2. Type Hangars. (The current public road, shown as a red line, is that leading towards Linwood (to the south-west), whilst the blue circles represent Cadman's Pool - closest to the end of Runway No 1 - and Ocknell Pond).